From a controls point of view, energy storage systems are the “actuators” in the electrical power grid that enable the mitigation of the transient inputs of power supplies as well as uncontrolled loads. 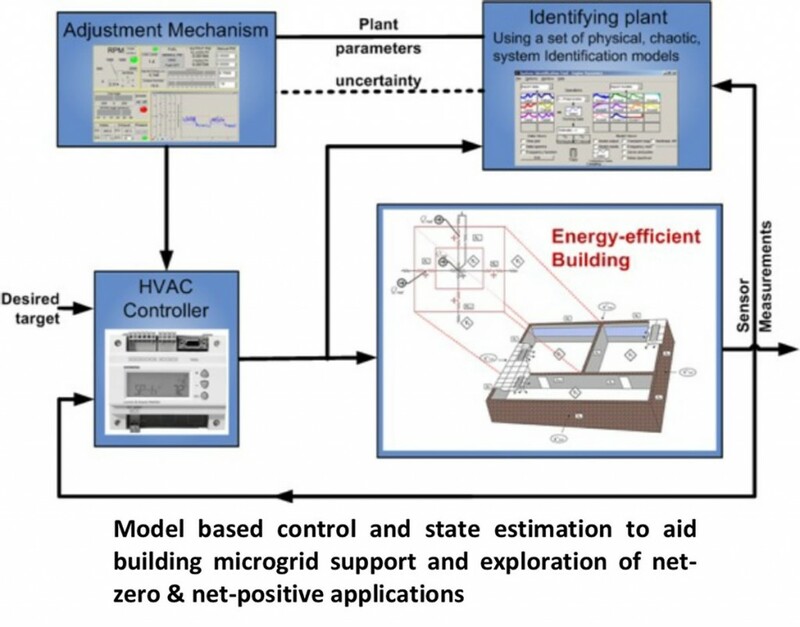 A goal is to optimize the location and amount of energy storage capacity needed to meet microgrid performance and stability constraints. This energy storage capacity can take on many forms from batteries to fly wheels to pumped hydro. Research is focused on integrated energy storage systems that utilize unconventional resources as much as possible. For example, buildings and parking lots full of PHEV’s and EV’s are good targets of opportunity when combined with PV on covered parking structures or distribution-scale PV systems.